How it Works: The Toastie Tush® is an innovative toilet seat warmer that is simple to install, safe (certified by MET Labs, tested to UL and CSA standards), has an energy saving thermostat, multiple comfort settings, is wet-safe and easy-to-clean, and is a fraction of the cost of any heated toilet seats on the market. It is an electrically warmed pad that attaches to the lid of a toilet with Velcro pieces. It heats the seat when the lid is in the down position. It pays for itself through utility cost savings. A collateral benefit is that it rewards and reminds the man in the house to lower the lid! Safety: The product is certified by MET labs; tested to UL safety standards in the US and CSA safety standards in Canada. It has double protection of a circuit breaker built into the plug so it doesn’t depend on the GFCI that should be in the bathroom. It is sealed and covered in water repellant vinyl. Cost Comparison: This product has been designed to be affordable for any household. 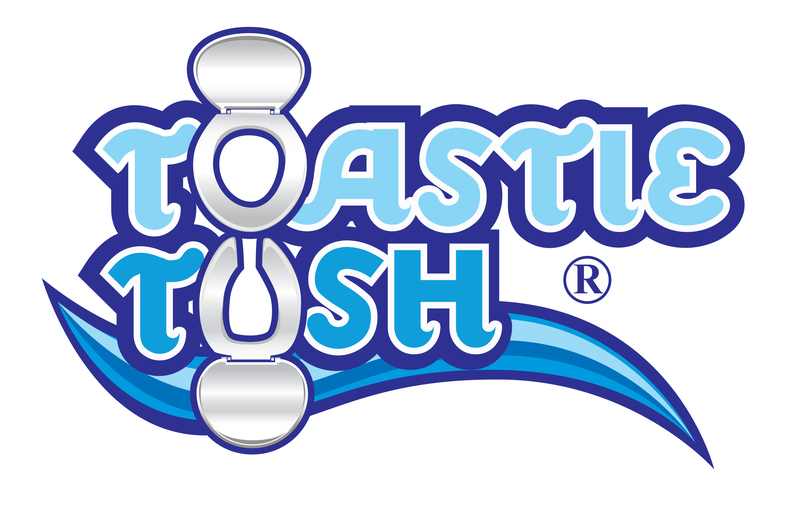 The other products that warm the toilet seat are complete toilet seats making them double to 20 times the cost of the Toastie Tush®. We’ve seen warm toilet seats selling for as much as $950. The low cost of the Toastie Tush® can be recovered very quickly through energy savings in the winter. Easy Installation: Using as few as three Velcro pieces, the pad simply attaches to the lid. You might have to remove the small plastic nubs on the lid with pliers before installing the pad, but it is very easy to do and only takes minutes to install. Wall hangars are included to allow for optimal management of the power cord. Washable: The pad is sealed and covered in water resistant vinyl making it easy to wipe clean and rinse with water. Comfort Settings: We found that people have different sensitivities to warmth yet most of the expensive warm toilet seats don’t have adjustable settings. We provided three different settings to account for different ambient temperatures as well as customized comfort for the user. Energy Savings: The cost of the Toastie Tush® can be recovered very quickly because it allows you to lower your thermostat in the entire house but not be chilled when nature calls. You’ll realize that dressing warmer in the house makes more sense and you’re not penalized on the toilet seat for keeping a cooler house. The power demand is lower than a low wattage porch light. The highest setting is 28 watts and the lowest is only 14 watts…as compared to a 40 or 60 watt porch light. Since the thermostat turns it on and off to maintain the desired setting, it doesn’t even use the full stated wattage for each setting. Thermostat: The thermostat is specially designed to turn the power on and off to maintain the set temperature and also use energy efficiently. The temperature will vary a few degrees on either side of the setting between turning on and off. However, the difference is almost imperceptible. Closed Lid Reward: For the males in the house who never close the lid, Toastie Tush® now provides a reward and incentive for closing the lid. They don’t want to sit on a cold toilet seat either when it’s time to go! Dimensions: There are two sizes - Elongated and Round. They are designed to be a bit smaller than the seat itself and smaller than most lids so that the pad is not visible when the lid is closed. The heat transfers well to the seat even if the dimensions don't match perfectly. We recommend the connections to be near the center of the lid anyway rather than near the perimeter. So the pad attaches to any lid. Here are the dimensions of each. Please call or write if you need more detail.